Bali Traditional Tour Member of Genta Bhuana Sari is aged around age 10 to age 20. They have a lot of performed experience at ceremony at temple, Hotel and performance of everyday. Also they won first prize at Indonesia dance contest in Jakarta. The dance show was also played by kid dancers, they danced by rounding eyes, moving neck and hands, very wonderful. Many dancers are also still young. They dressed in bright costume. 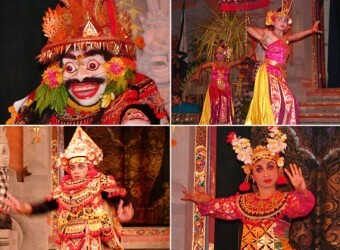 It`s also interesting that there are many types of Legong dance.